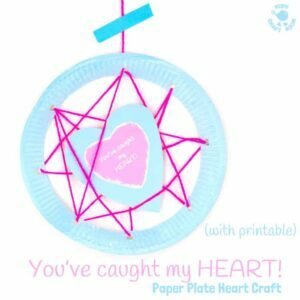 Children will have loads of fun making this YOU’VE CAUGHT MY HEART – Paper Plate Heart Craft. 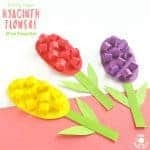 It’s adorably cute and just perfect for Valentine’s Day, Mother’s Day, Grandparent’s Day and Teacher Appreciation Day, in fact any day when you want to share a bit of love around! 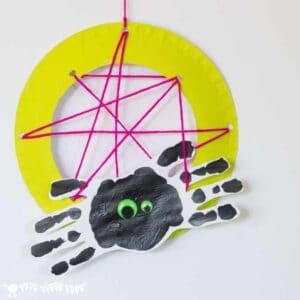 These adorable Handprint Spiders In Webs are easy and frugal to make and a really wonderful way to build fine motor threading skills. 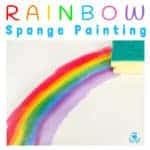 Handprint crafts make such gorgeous gifts and keepsakes don’t they and this spider craft is no exception! 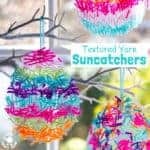 I bet these are the cutest spiders you’ll see this year! 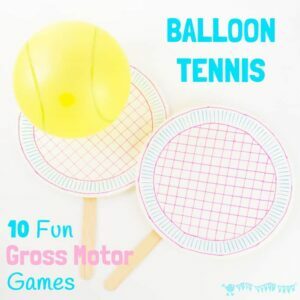 10 Fun Gross Motor Balloon Tennis Games for the whole family. 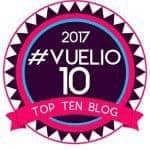 Build gross motor skills with these ten exciting boredom buster & energy buster balloon tennis games. Family fun whatever the weather! 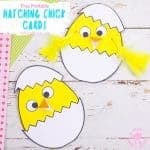 Here’s a fun challenge…can you build a nest using natural materials just like real birds do? 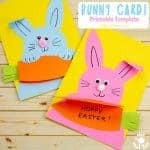 NO GLUE OR TAPE ALLOWED!!! 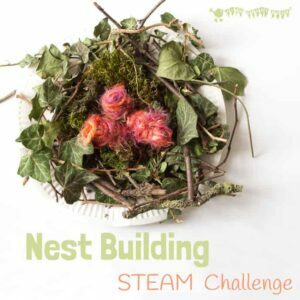 This “Make A Birds Nest” STEAM project is a fun way to challenge your kids and get them testing out their ideas and problem solving. Squeak, squeak, let’s go batty making bats! In our garden we’ve been enjoying watching the bats dart about now the evenings are earlier. In true Kids Craft Room style we had to get crafty making some bats of our own. 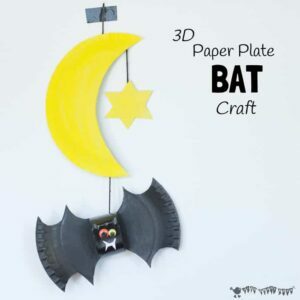 This 3D paper plate bat craft makes a great mobile for hanging in a kid’s bedroom and is fun for Halloween too. 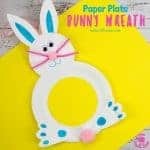 Make a curly tongued, fly catching Paper Plate Frog Mask, perfect for Spring and Summer play activities. 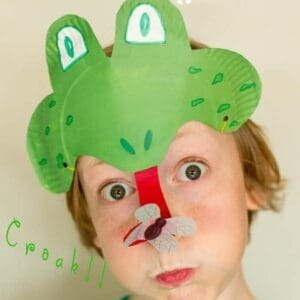 Croak, Croak, Ribbit! Winter is well and truly behind us, hooray! 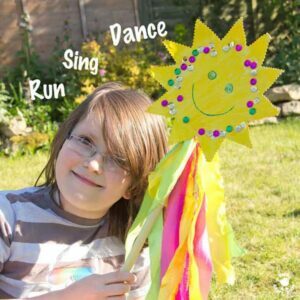 This Sunshine Wand is such a bright and cheerful Summer craft for the kids and a great way to encourage movement and self expression. 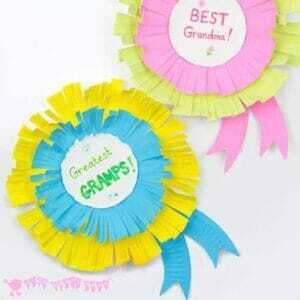 Its long trailing ribbons will encourage kids to leap, dance and twirl spreading a little sunshine as they go. And we have a fab Annie DVD giveaway too!